Barack Obama’s Presidency was the biggest disaster in American history. But one failure stood out above all the others. That all changed when Jeff Sessions stepped up and took the one action that left Barack Obama up in arms. Barack Obama’s biggest assault on America was his embrace of open borders. In 2010, the Obama administration loosened the rules on asylum seekers by allowing the fear of gangs and domestic violence to be grounds for winning asylum in America. This brought hordes of illegal aliens to invade the country, and about 80 percent of asylum seekers won their case. In 2016, 92,000 illegal aliens sought asylum by gaming on the system the Obama administration had put in place. That number was 5,000 in 2007. And the flood of asylum seekers created a flood of cases that overwhelmed the system. In 2017, 400,000 work permits were handed out to illegal aliens since asylum seekers were permitted to remain in America while awaiting their court cases to play out. Obama – and the Democrats – goal was to flood America with illegal aliens to generate critical mass so the Republicans in Congress would be forced to accept amnesty. Granting amnesty to illegal aliens would allow Democrats to register millions of new voters and change the electorate to wipe out the Republican Party. But Donald Trump won the Presidency on the strength of his Make America Great Again agenda. And the centerpiece of that winning message was building a border wall and cracking down on illegal immigration. The President tapped Jeff Sessions to be his Attorney General and carry out the administration’s America First immigration policies. 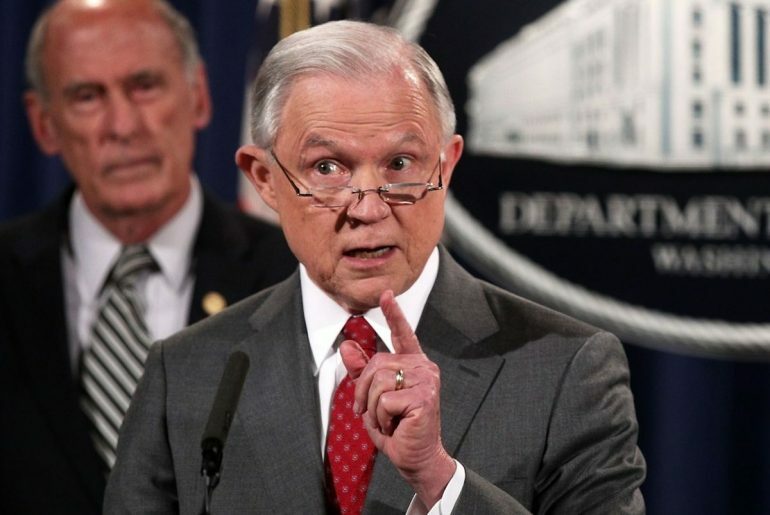 While Sessions is a controversial figure with some Trump supporters because his recusal in the Russia investigation led to the appointment of Robert Mueller, Sessions commitment to implementing the Trump immigration agenda is unquestioned. Recently, Attorney General Sessions released a memo revoking Obama’s policy of allowing illegal aliens to win asylum based on credible fears of gang or domestic violence. Sessions policy change had immediate impact. The Associated Press reported that in an interview with Sofia Casini of the Austin nonprofit Grassroots Leadership, that the denial rate for asylum seekers she worked with had doubled since Sessions implemented this policy. CASINI SAID THAT OF THE ROUGHLY 35 SEPARATED MOTHERS HER GROUP WORKED WITH, MORE THAN A THIRD FAILED THEIR CREDIBLE FEAR INTERVIEWS, WHICH SHE SAID IS ABOUT TWICE THE FAILURE RATE OF BEFORE THE NEW RESTRICTIONS TOOK EFFECT. NATIONALLY, MORE THAN 2,000 IMMIGRANT CHILDREN AND PARENTS HAVE YET TO BE REUNITED, INCLUDING ARAGON AND HER DAUGHTER, WHO IS BEING HELD AT A NEW YORK CHILDREN’S SHELTER AND WHOSE FUTURE IS AS UNCLEAR AS HER MOTHER’S. President Trump is keeping his promise to put American First and crackdown on illegal immigration. And Attorney General Sessions is carrying out this agenda. Trump’s commitment to the promises he made during the campaign is why a recent poll showed his approval rating was 87 percent with Republicans. Do you think President Trump keeping his word is why he’s retaining such strong support from his base? yes!! !